Nestled in the mountains of northern Maryland lies the small town of Meyersville. there, you’ll find a beach inspired high quality seafood restaurant called JB Seafood. I was on a road trip and stopped in Meyersville looking for a place to eat lunch. There were two choices available: a diner, and a seafood place. On a whim, I decided on JB Seafood. The building is quite eye catching. Inside, the walls are all covered with beach themed decorations. Overall, I liked the vibe of the place. While there s counter service, JB’s also has a small seating area where you can eat a meal. The place obviously specializes in seafood but it also has a sandwich menu with options such as grilled chicken breast, BBQ pulled pork, hamburgers, and cheeseburgers. I went with the seafood, and attracted to the fantastic looking crab cakes on display, ordered that. Also on display were some delicious looking bacon wrapped scallops at the counter that looked fantastic, but I was unable to find them on the menu (I should have asked!). So I ordered the hush puppies as a side instead. 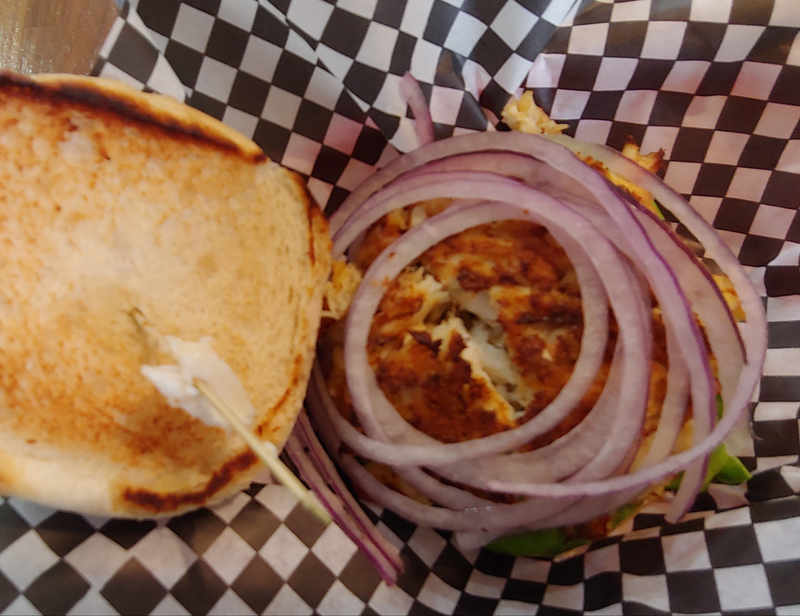 The crab cake sandwich was choke full of crab meat, and had good flavor. But but it did not hold together well making it hard to eat. It came with a side of tarter sauce, which was definitely needed. Otherwise it would have been too dry. 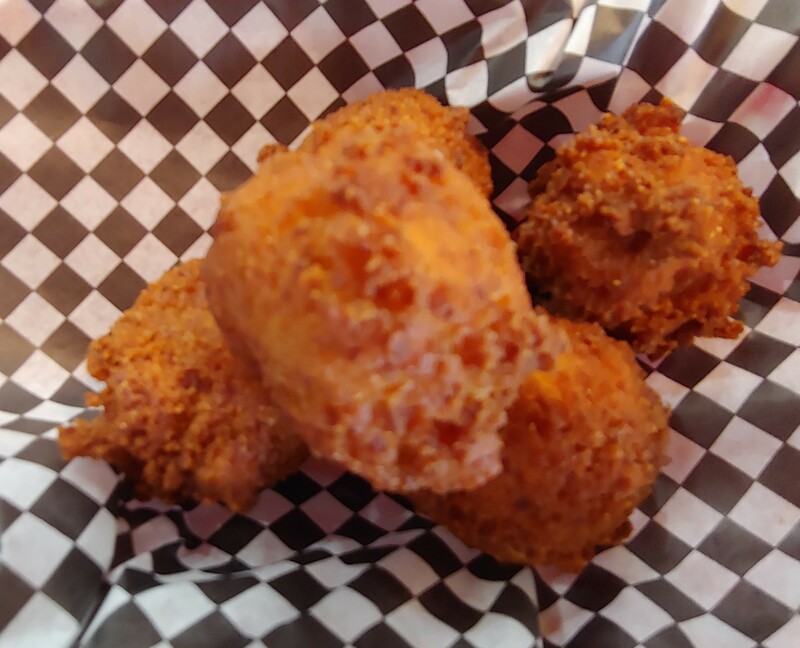 The hush puppies, on the other hand, were amazing. They were enormous, very moist, but with a crisp exterior and not oily at all. Both it and the sandwich were freshly made and the quality shows. In addition to the sandwiches, JBs also has a pizza menu. They have all the standard flavors: cheese, marguerita, pepperoni, meat lovers, etc… More unusual flavors include crab pizza and Buffalo chicken pizza. The pizza seemed to be extremely popular, as a continuous steam of people were coming in and ordering several for take out. The service at JB Seafood was exceptional. The staff was very friendly, and the meal was promptly served, even though it was freshly made. I am glad I stopped there, and would definitely eat there again. But I need to try the diner across the way as well.